How will you react if someone says that there are arbitrage opportunities in a particular commodity? If you are not familiar with the market, it could sound Greek or Latin to you. But if you are familiar with the market, you will immediately react, saying you are already tapping them. Market behaves differently from one place to another or even one exchange to another. 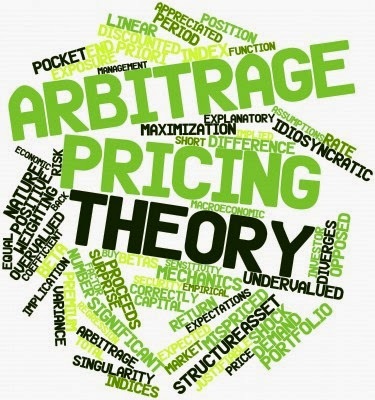 One reason why arbitrage is available is because no market is perfectly efficient. When the inefficiency shows up in one market or the other, traders get an arbitrage opportunity. Basically, arbitrage is buying a commodity in one market and simultaneously selling it in another, profiting from a temporary difference. This is considered a riskless profit for an investor or a trader. For example, let us take the arbitrage opportunity in gold contracts that was available a couple of weeks ago on the National Commodities and Derivatives Exchange (NCDEX) and the Multi Commodity Exchange of India (MCX). On January 24, gold contracts maturing for delivery in April ruled at ₹28,815 for 10 gm on NCDEX. On MCX, they were quoted at ₹28,623. On both these exchanges, gold is traded in a unit of 1 kg with prices being quoted at ₹/10 gm. The arbitrage opportunity here is that a trader can buy one unit on MCX and sell one unit on NCDEX. But things are not as simple as they seem to be. 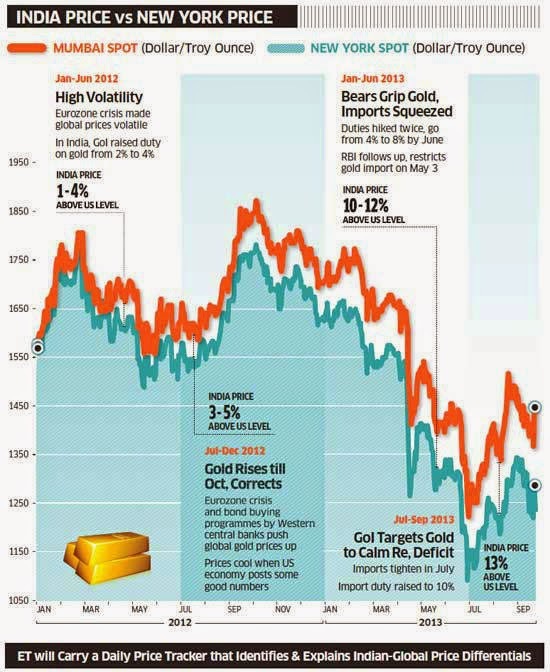 This is because you cannot interchange commodities from MCX to NCDEX or vice-versa. Therefore, you will have to look for opportunity to square off the positions on both the exchanges. It will depend on how prices behave subsequently. Arbitrage opportunities are available in spot markets too but you will have to take into account factors such as local taxes and transportation charges. In dollar terms, and minus strong external stimuli, the Indian and global gold prices should be aligned - because the Indian price is set by the global price. However, when there are strong external factors, the Indian price in dollars can be different from the global price. That difference opens up the possibility of arbitrage. The chart below shows global and Indian gold prices (in dollar terms) from January 2012 on-wards Indian prices in dollars have been higher in some periods - thanks mainly to duties on gold imposed by the government. For those with trading acumen, these differences on a daily basis are arbitrage opportunities in a global market.